Other names: China orange, hazaara. Calamondin is popularly called hazaara, in North India because of bearing a very large number of very small orange shaped fruits around the whole periphery plant, which is also quite small in size. Hazaar means thousand. 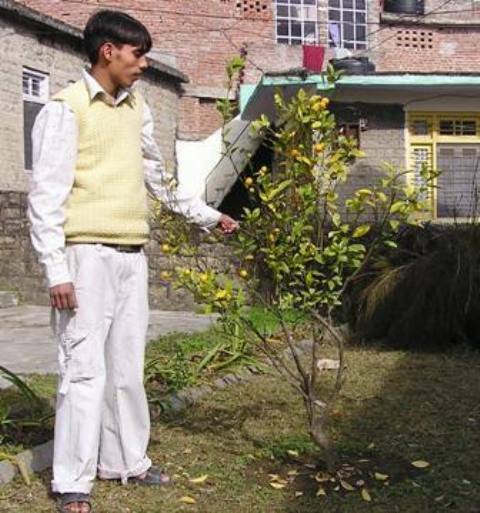 So the name hazaara signifies its unusually large bearing which makes a calamondin plant, whether planted in ground or in pot a very ornamental plant. 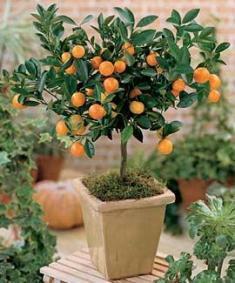 The main, rather the only use of calamondin is as an ornamental plant. It is an attractive dense topped plant. Leaves are broadly oval, dark green above and paler below, petioles narrowly winged, articulated. Flowers are small, white fragrant, borne singly or in pairs. The fruits are small, sub-globose or oblate to spherical or oblate to spherical, bright orange with depressed apex and juicy. These taste too sour to eaten without adding sugar. 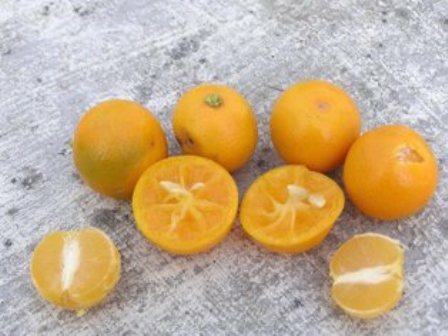 Calamondin is on of the hardiest edible citrus fruits and is also as cold hardy as Citrus pseudolimon. In fact, it performs better as a pot plant under relatively colder situations.